Nokia E71 Blog For Fanatics: What Is The True Cost Of Using A-GPS On Your Nokia E71? What Is The True Cost Of Using A-GPS On Your Nokia E71? 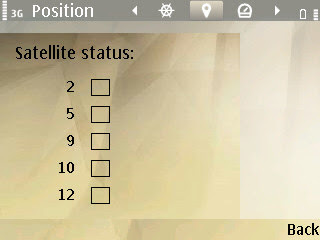 If you remember about a month ago I gave a tip for getting a better and faster GPS lock on your Nokia E71. 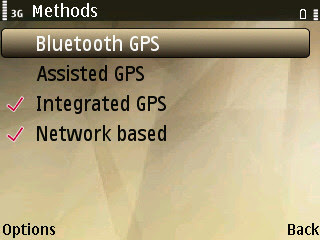 The trick was to simply ensure that Assisted GPS (A-GPS) was enabled in the settings. Basically this uses the data connection to connect to the nearest cell towers and help to quickly gather information about your approximate location, hence the term assisted. But many of you had concerns about data costs on your carrier and your country. For most in North America we are lucky enough to have decent data rates, for instance I pay $15usd a month for unlimited data and 200 sms messages. But others aren't so fortunate. Edwin, a reader here at E71 Fanatics, graciously emailed me some screenshots and information he gathered to share with all of you about this topic. 1. Reset the Packet Data log to zero. 2. Turned off AGPS on the phone. 3. 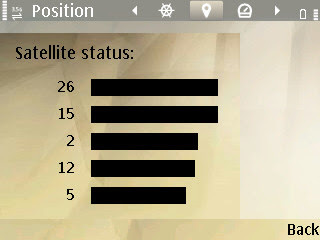 Tested the satellite signals - very low. Took almost 20 - 25sec to lock on in open skys, a couple of minutes if in my car. 4. Turned on AGPS - signal strength became optimal. 5. Checked the Packet Data log - sent 1.15kb and received 4.18kb for the use. 6. Tried several times, the data remained the same whilst in the same cell. 7. 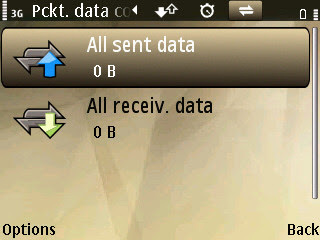 If based on the data rate of the Telco I am using at MYR 0.05ct per Kb (peak), it's about 5c per pop. Probably more if you are roaming as you navigate. (the last is unconfirmed). I also checked that whilst in the same phone cell, no matter how many times, you use it, there is not additional data usage only onces. So I believe, if you had AGPS turned on whilst navigating, each time, you travelled from one cell to another and there is a need to lock on to a new cell, there would be a data exchange like the one seen above so, it can get quite expensive at 0.05 cts a pop (peak). Click here to read his full article where you can get a lot more detail and even ask questions if need be. Thanks again Edwin for the information! Is using A-GPS worth it for you? Have you done similar tests with similar results?